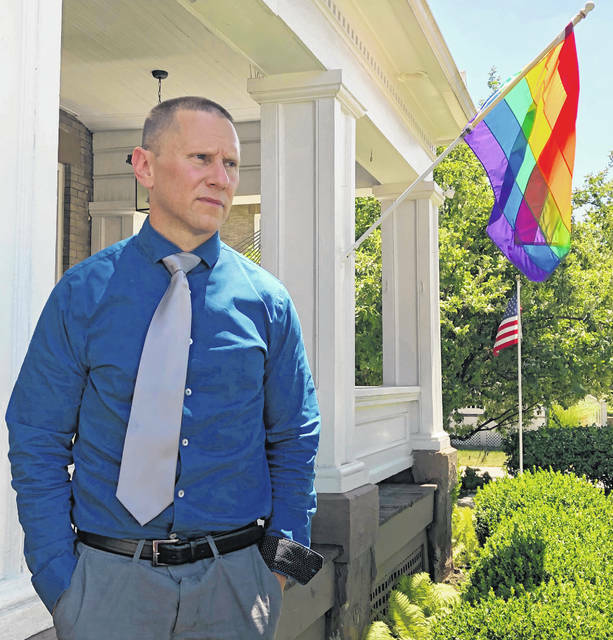 Former Ohio State University student Steve Snyder-Hill discusses a complaint he submitted decades ago about the behavior of Dr. Richard Strauss, during an interview at home in Columbus, Ohio, on Tuesday, July 17, 2018. A law firm is investigating allegations about alleged sexual abuse by the now-dead physician and what Ohio State knew at the time. FILE - This undated file photo shows a photo of Dr. Richard Strauss. More than 100 former students have provided firsthand accounts of sexual misconduct by Strauss, the now-dead Ohio State University team physician, at the center of an ongoing investigation, the university said on Friday, July 20, 2018. COLUMBUS, Ohio (AP) — More than 100 former students have provided firsthand accounts of sexual misconduct by the now-dead Ohio State University team physician at the center of an ongoing investigation, the university said on Friday. Over 200 former students and university employees have been confidentially interviewed by independent investigators reviewing allegations against Richard Strauss involving male athletes from 14 sports as well as his work at the student health center and his off-campus medical office, University President Michael Drake said. Those allegations range from 1979 to 1997, during most of Strauss’ two decades on the faculty and medical staff. Many of the accusers who have spoken publicly allege Strauss groped them or conducted unnecessary genital exams. Ohio State has urged anyone with information to contact the Seattle-based law firm Perkins Coie’s investigators, who are looking into the allegations, what university officials knew and how they responded to any concerns about Strauss. They also are reviewing whether Strauss examined high school students. The university announced the investigation in April after allegations about Strauss were brought forward this year. The school said investigators are accepting anonymous reports and noted that they aren’t proactively reaching out to potential victims because they want to avoid re-traumatizing anyone who doesn’t want to revisit such an experience. The university said investigators plan 100 or more additional interviews. Those who say they’ve been interviewed include wrestlers who say they were groped during physicals and a former student who says he witnessed and experienced sexual abuse in one day while working at Strauss’ off-campus medical office in the mid-1990s. Also interviewed was Republican U.S. Rep. Jim Jordan, who denies some wrestlers’ claims that he knew about abuse when he was an assistant coach at Ohio State from 1987 to 1995. The head coach back then, Russ Hellickson, similarly has said he would have reported any abuse if he had been aware of it. Former athletes say they verbally raised concerns about Strauss as early as the late 1970s. His employment records released by the university referenced no reprimands or disciplinary action over any such concerns, but Ohio State has a record of at least one documented complaint against Strauss. Paperwork from 1995 shows a then-director of the student health center said a student’s complaint about being inappropriately touched by Strauss during an exam was the first such complaint he’d received. The documentation that ex-student Steve Snyder-Hill obtained from Ohio State this week shows he complained about Strauss by phone — not by letter, as he’d recalled — and heard back from the director, Ted Grace. Snyder-Hill said he was told that Strauss denied his allegations. “I want to assure you that we had never received a complaint about Dr. Strauss before, although we have had several positive comments,” Grace’s letter said. Grace now leads student health services at Southern Illinois University. He declined to comment through a spokeswoman there. Strauss killed himself in 2005. His relatives have said they were shocked by sexual abuse allegations against him. 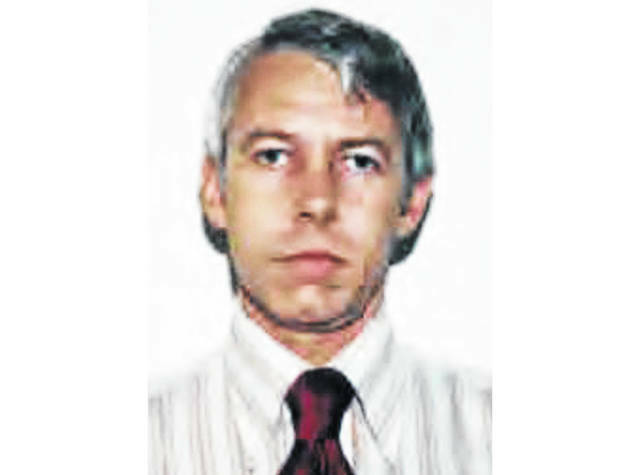 Strauss’ personnel file at Ohio State indicates he previously did research, taught or practiced medicine at Harvard University, Rutgers University, the University of Pennsylvania, the University of Washington and the University of Hawaii. Most of those institutions say they have little record of Strauss, and none has said any concerns were raised about him.